Well I had a pretty busy day!! I managed to stitch Manatsu in about 24 hours-- even with lots of sleep in between. She has a very pretty dress. I'm happy how it turned out! Here is the cool Hypnotoad I had to stitch too!! 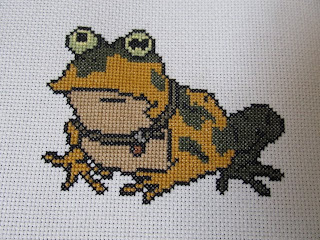 :) It can be found on Sprite Stitch. That is pretty much it for today! I do have some more finishes people have done but I will save that for another day!! Very cute! 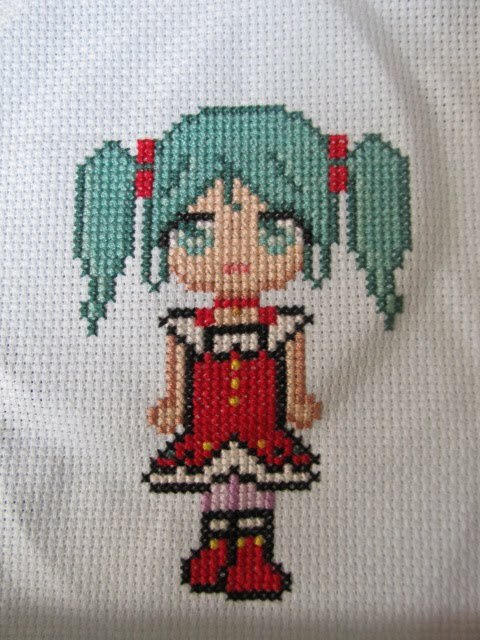 When I first saw the pattern of the girl, I thought it's some kind of Christmas Miku Hatsune, because of the hair and the red dress ^^""
I love the hynotoad! Super fun & cute.